The new Kia Sportage is a popular small SUV offered in three trim configurations: Sportage LX, EX, and SX Turbo. Drivers interested in a Kia Sportage with for sale near Detroit will find that with our large selection, it’s easy to get a jump-start on driving home a fantastic crossover whether leasing or financing! Whether you opt for the entry-level LX, the EX, or SX Turbo, you can expect standard features like a rearview camera, smartphone integration with available Apple CarPlay/Android Auto, standard safety features to keep you and your family safe around Southfield, great fuel economy, as well as cargo space of up to 60.1 cubic feet. Drive Mode Select: Normal, Eco or Sport. Available on each trim is Kia’s UVO eServices infotainment system, bringing together the best tech within your Sportage to help schedule and manage maintenance visits, and receive emergency assistance. You’ll find UVO eServices for your Sportage in the Popular Package with the LX, and it’s standard on the EX and SX Turbo. Additionally, each trim level can also be upgraded to have Dynamax™ All-Wheel Drive (AWD) instead of Front Wheel Drive, to help power through construction season and our Metro Detroit winters. If you’re in the market for an affordable and stylish SUV near Dearborn that still offers the luxury and convenience anyone should expect in a modern car, navigate to your favorite model and click the “Schedule Test Drive” button or choose a virtual test drive and apply for financing before coming in. 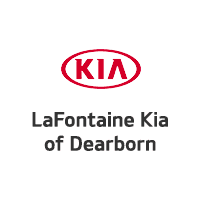 The team at LaFontaine Kia is prepared to walk you through all your options for Kia Sportage trims, financing regardless of your credit, and more.